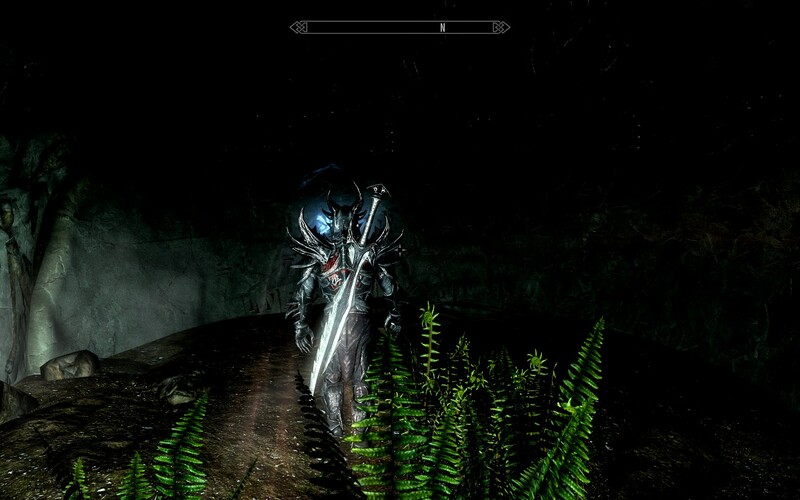 The Elder Scrolls Skyrim: Faas Faal Bah Do Faal Dovakhiin. This might come as a surprise to some but I never really got into The Elder Scrolls series. Despite their games being around for as long as I’ve been a gamer my first introduction into the series was back in 2006 when Oblivion was released. Even then I didn’t much care for the game, feeling overwhelmed at the amount of choice I had in almost every respect. That and the world was filled with people who seemed to be suffering severe birth defects and the camera zooming up to their faces whenever you interacted with them didn’t do much to alleviate that issue. However upon seeing the trailers for Skyrim I knew I couldn’t write off the series based on my one bad experience, especially if the reactions of my friends were anything to go by. Skyrim takes place in, funnily enough, Skyrim a section of the larger Tamriel world that has encompassed the entire Elder Scrolls series. You find yourself, much as you did at the start of Oblivion, prisoner on the way to your execution. 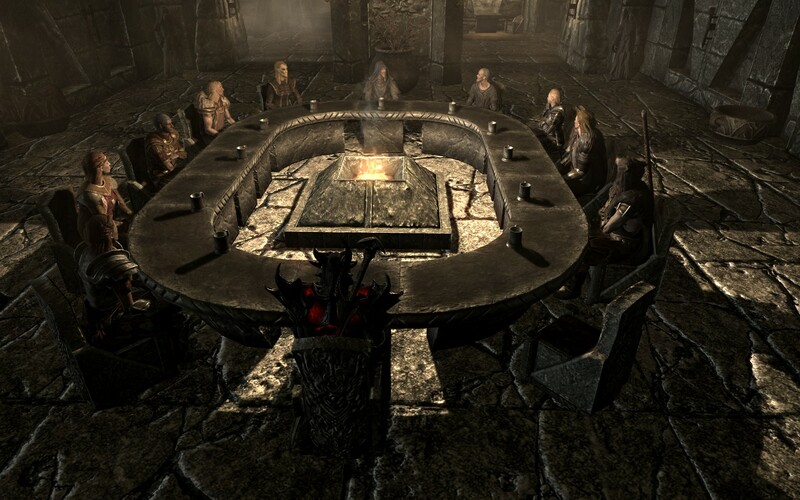 You’re not alone on this trip however and those accompanying you include Ulfric Stormcloak, one of Skyrim’s jarls, who’s responsible for assassinating the High King of Skyrim as he wants Skyrim to secede from the ruling Empire. Just as you’re about to lose your head however a dragon appears and lays waste to the surrounding town, giving you an opportunity to escape. You are then thrust into the huge world that is Skyrim with but a single quest in your log and the entire world as your playground. 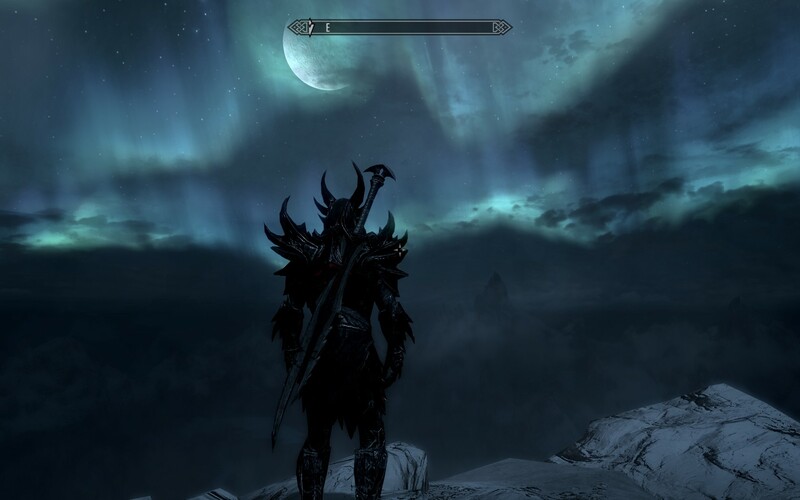 As the screen shots can attest to the world of Skyrim really is something to adore. I’ll admit at first I wasn’t impressed, mostly due to the constant close ups of the opening scenes which never do any favours, but once you’re left to your own devices the amount of detail in the worlds is just staggering. The screen shot above was the first time I found myself stopping mid-quest and just staring for a good minute or two, loving the view as much as I would a similar vista in the real world. It wasn’t the big picture that did it for me, it was all the little things (like my character standing on the slope properly, rather than standing dead straight up) that culminated in a moment that just encompassed me completely. It’s that attention to detail that really sets Skyrim apart from any other RPG that I’ve played. If they’d just gone and made a beautiful environment that would be one thing, but they’ve also included things like weather simulation, day/night cycles (with a moving sun and proper shadows) and environmental events like the aurora borealis (or australis? Anyone know which hemisphere Skyrim is in?) shown above. What this creates is a world that’s thoroughly immersive as it feels so much more alive than anything else I’ve ever played. Skyrim really does set the bar for all other RPGs that follow it, especially any of them that dare to describe themselves as open world. The game mechanics contained within Skyrim are so wide and varied that I’ll need an entire paragraph just to introduce them all. Like all games there’s a combat system but depending on how you choose to play your character you’ll either be an in your face warrior (like myself), an archer able to pick of foes with a single shot or a mage adept at slinging spells indefinitely. The levelling system is also quite unique in the fact that it’s not advanced in the traditional way, relying instead on your progression through certain skill traits. The crafting system is also quite in depth with you being able to craft the most powerful items in the game, as long as you know where to look. Then there’s also the unique idea of “shouts”, basically magical powers that are innate to you and can be unlocked through finding hidden words of power and using the souls of dragons to master them. 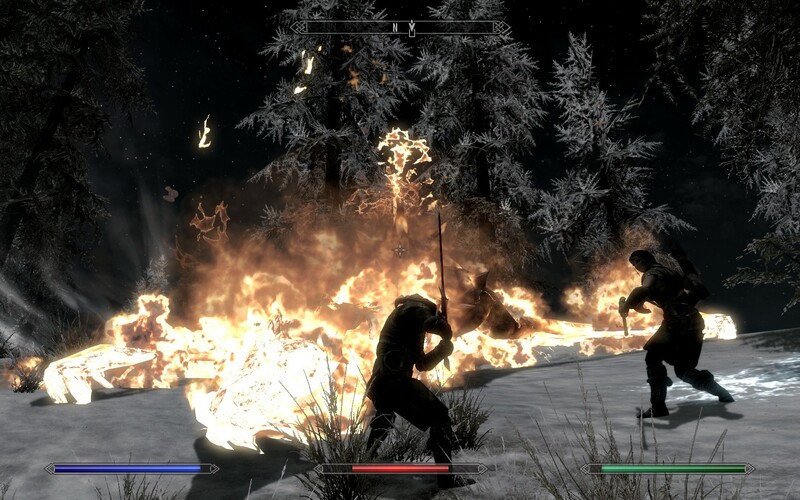 Combat in Skyrim is a pretty straightforward affair, at least from the perspective of a 2 hander warrior like myself. Unlike other RPGs there is no skill bar (replaced with a favourites quick menu) and the skills you perform are either straight up equipped, like spells and weapons, or are used through a combination of mouse clicks and keyboard presses, like weapon attacks. At first I struggled with this system as the lack of skill bar meant that every time I wanted to change between say, my 2 handed weapon and healing spells, I had to trudge through 3 levels of menus before I could do so. This was alleviated somewhat when I was told of the favourites menu but it still takes you out of action whilst you make your selection. Perhaps this is just a style preference as I’m much more inclined towards the Dragon Age style of doing things that favours flowing combat, although I will admit that Skyrim’s UI is much less busy which counteracts this somewhat. This is not to say that the combat isn’t enthralling however, far from it. Much like the first Ogre in Dragon Age was a battle that burns vividly as a memory for anyone who played it your first Dragon in Skyrim is sure to be another experience that everyone who plays Skyrim is sure to remember. Some of the encounters are quite enthralling too, especially when you’ve spent the better part of an hour getting engrossed in the lore that’s been leading up to said fight. My only gripe would be that the combat is somewhat simplistic in its implementation, especially if you shy away from the path of magic. The levelling system is unique in that it’s far more simplified than its predecessors were. Instead of having the usual spread of Dungeons and Dragons based attributes and skill trees Skyrim instead has you choose one of three attributes to increase on each level (health, magicka and stamina) as well as giving you a point to spend on a particular skill tree branch. Those branches are directly related to skills in the game such as armour proficiency, crafting skills and combat skills. Levelling up those particular skills is how you progress your character throughout the game so your level is actually kind of arbitrary as you can quickly master certain skill trees but you’ll need to do that more than once in order to progress any further. This kind of levelling system then makes progression rather uneven especially when you’re power levelling a certain skill. For instance I had had my eyes on the Daedric armour set for quite a while and for crafting skills it doesn’t matter what kind of item you create it will always level you the same amount. Figuring this out I set about making as many leather bracers and iron daggers as I had material for and was able to jump a solid 2 levels in just under 10 minutes. The same can be done with alchemy, enchanting and even with combat skills if you do it correctly. It’s really neither here nor there in terms of affecting game play (I.E. if you need to get a skill point you’re never far off getting it) and is probably more a testament to Skyrim’s open ended play style more than anything else. 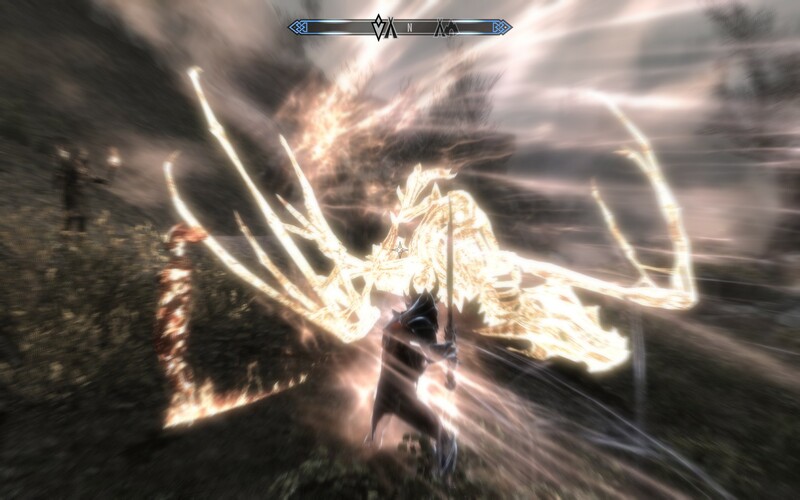 The Shouts, whilst realistically being nothing more than another spell in your spell book, are an interesting little aside to the regular magic system in Skyrim. You don’t unlock them by simply reading a spell book (like you can do with every spell in Skyrim, regardless of level) instead you unlock them in a two stage process. 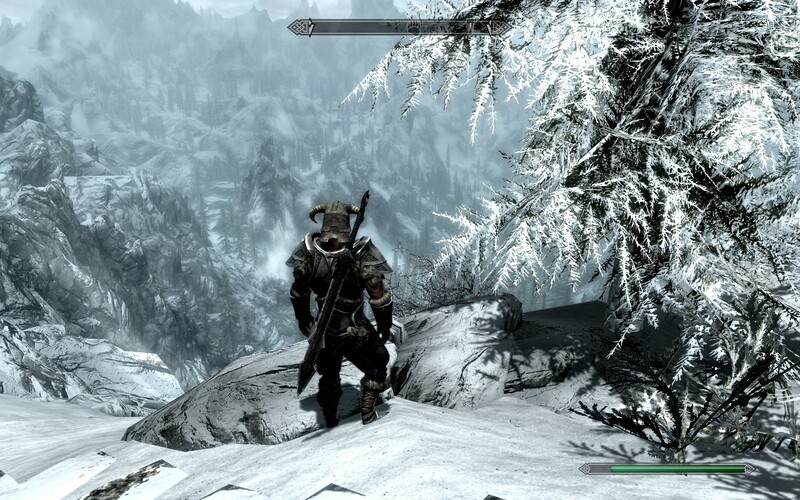 First you have to find the words which are scattered throughout the land of Skyrim. Secondly you will need to defeat a dragon in order to unlock the word of power and make it available for use. All shouts have 3 words total and each additional word you unlock in a shout increases its power. There are some unique shouts that will really help you out in certain encounters, especially early on when fighting tougher enemies like dragons and giants. Crafting in Skyrim is a process that’s sometimes laborious, bordering on MMORPG levels, but the payoffs for doing so are quite significant. As I mentioned earlier the Daedric armour had my eye for quite some time but the investment to get there is quite steep. Not only do you need to get 90 smithing (something I achieved by crafting hundreds of other items) you also need to get some of the rarest ingredients of the game: ebony bars and daedra hearts. This quest which I set myself took me no less than 2 hours to complete even when I knew exactly where I needed to go in order to get everything in order. The same can be said for enchanting an alchemy as the process of levelling them can take quite a while but the end result are items that can break the game completely. For instance there’s a skill that increases the effectiveness of new enchants by 100%. Combine this with the enchant that reduces the cost of say destruction spells you can actually enchant your armour enough so those spells are free. Couple that with the enchanting perk of being able to enchant any item twice and you can craft a character that is literally indestructible. Whilst I didn’t go down this particular path myself I did end up creating a character that was able to 2 shot dragons with his sword rendering even the toughest encounters almost trivial. I can’t fault Skyrim for this as for almost any RPG you’ll reach a point where your character becomes nigh unstoppable and realistically that’s part of the fun. Still it leaves you wondering whether this was intentional or not, especially considering the ludicrous number of exploits that are present in Skyrim. Like any Bethesda game Skyrim is littered with bugs, exploits and quirks that can either make or break the game for you. Bethesda has a rule about not fixing the “fun” bugs as they believe they’re part of the game and realistically with a game this expansive it’s hard to judge them with the amount of emergent behaviour that’s possible. Indeed many of the moments I’ve found myself discussing with my friends have been around those times when something hasn’t gone the way you’d expect it. I didn’t encounter too many game breaking bugs though which shows that Bethesda was committed to making the core game stable, even if it was at the cost of dragon skeletons occasionally raining from the sky. What will get to you after a while however is the repetition. It’s pretty much the same as every RPG gets to be after a while as there’s only so many ways you can dress up a fetch quests before people start to catch on and start avoiding them completely. Indeed many of my friends began suffering Skyrim fatigue just recently, saying that they’d love to play more but were just couldn’t bear themselves to play any more at least for a little while. I felt the same thing too especially with the near endless stream of quests and distractions on the way to said quests. Truth be told there’s probably well over 100 hours of total game play within Skyrim and with the theoretical level cap somewhere at the dizzying heights of 81 I’m sure there’s enough content to get the most intrepid explorer’s there. What kept me going through those last bits of drudgery was the story. 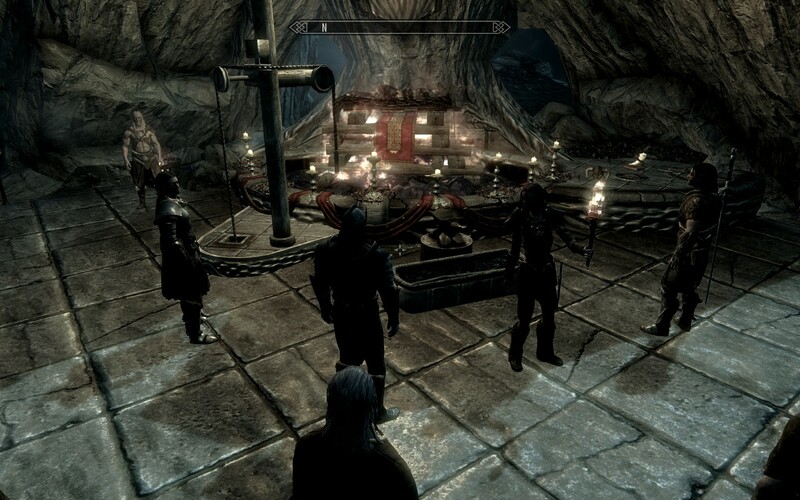 Whilst there’s enough stories in Skyrim to fill several novels the main plot line was by far the most captivating. It’s you’re typical hero out to save the world kind of stuff but the multiple reveals and little details you can glean from being in the right places at the right time make it quite enthralling. Additionally, true to Skyrim’s openness, your decisions about what to do at certain points will shape the story in certain ways. The ending, whilst intensely satisfying in itself, felt a little hollow when you were dropped straight back into the world. Granted I didn’t play for too long afterwards to notice if there were any major changes but after a journey like that I felt like the game either should have ended or changed in some significant way. I won’t put the game down for that though since it’s a personal thing (and I’m not quite sure I’m explaining my feelings well enough here) and games don’t deserve to be punish for that. I don’t think I’m entirely done with Skyrim either. Just like other games that get their longevity from multi-player I get the feeling that I’ll come back to Skyrim every so often just because there’s so much there left to do. It’s a testament to Bethesda’s skill in creating a single player world that will have play times to rival that of long running multi-player games. Skyrim’s model doesn’t generalize to all kinds of games easily though (would you play a FPS for 40 hours?) but it does show that a game can have some serious longevity based of its single player experience alone. If a new comer to The Elder Scrolls series like myself can find so much to like about the world of Skyrim then I imagine that long time fans are just as impressed with it as I am. The graphics are amazing, the world is filled with unimaginable detail and the game itself has enough nuances to keep you interested for quite a long time. In typical Bethesda fashion it’s anything but a bug free experience but they’re usually not game breaking and are more a symptom of a system than can have incredible amounts of emergent behaviour rather than lazy developers. If you enjoy savouring your game experience over a long period of time then Skyrim is definitely for you as its one I can see myself playing for months after this review is done. 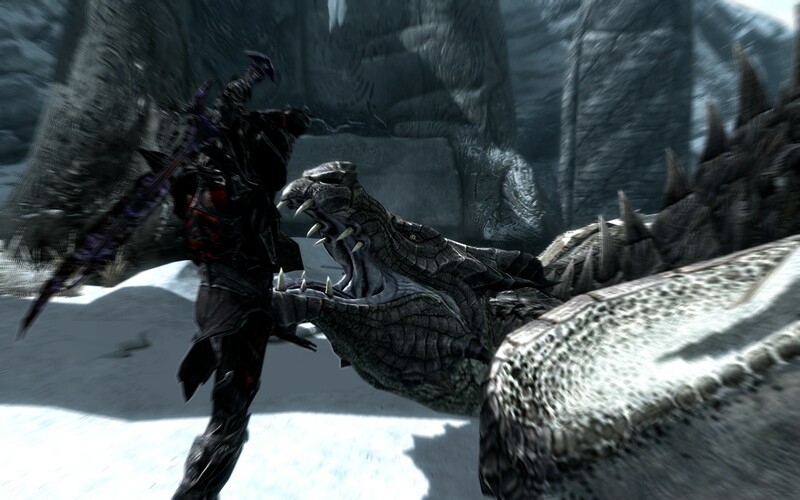 The Elder Scrolls: Skyrim is available on PC, Xbox 360 and PlayStation 3 right now for $59.99, $88 and $88 respectively. Game was played entirely on normal difficulty (I only just found out you could change it) with around 36 hours total played and 48% of the achievements unlocked. Got any questions about the review? Read the guide to reviews here on The Refined Geek or leave me a comment here!